Diving into the Deep End of Innovation! 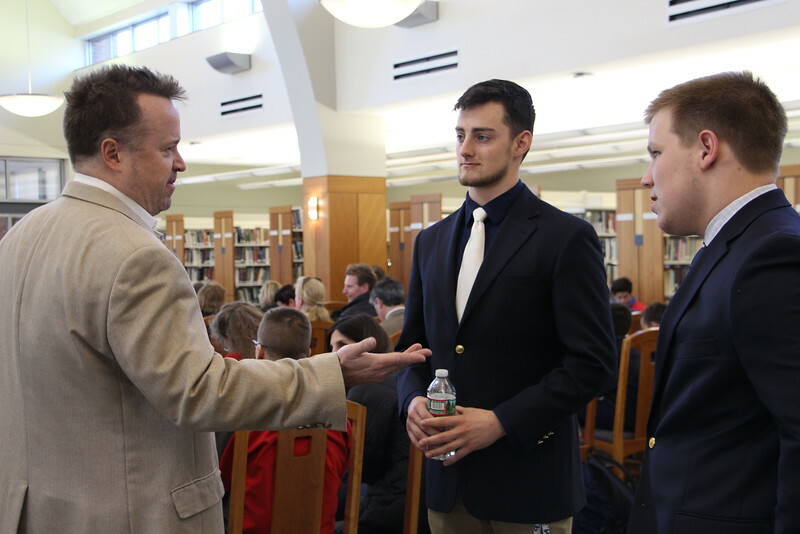 Nine teams of student entrepreneurs participated in the SJP Shark Tank this afternoon, pitching the new businesses ideas they developed during the Babson Entrepreneurial Leadership Academy at St. John's this semester. Two teams – The Condolence Connector and High Serve – will go on to compete against other high schools in the Babson Boston Cup on Saturday. Kudos to all of the students for their innovative ideas and polished presentations. And many thanks to the panel of judges, which included Prep graduates Art Coviello, Andrew Frates, and Jay Greenberg.